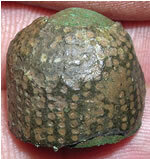 Based on archeological finds near Moscow, 30,000 years ago mammoth hunters created buttons by drilling through pearls made of mammoth ivory. 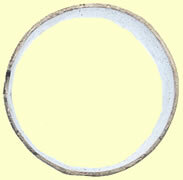 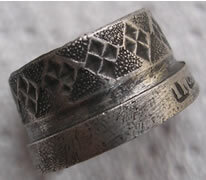 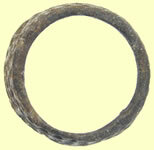 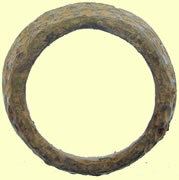 They fashioned bone rings to help them apply pressure while stitching the buttons to leather garments. 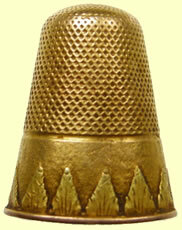 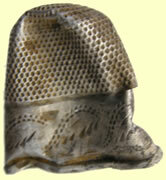 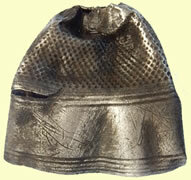 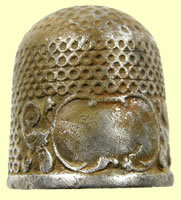 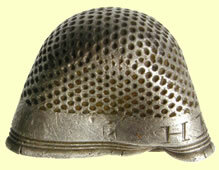 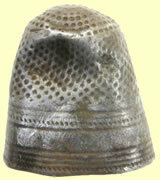 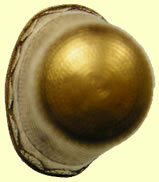 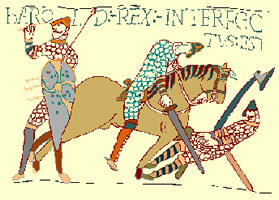 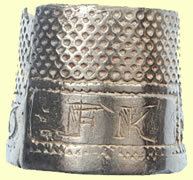 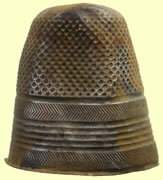 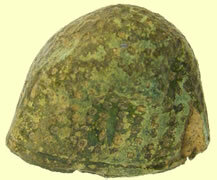 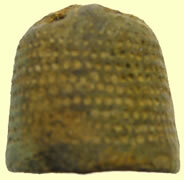 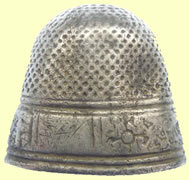 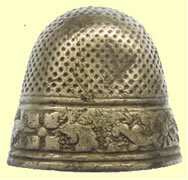 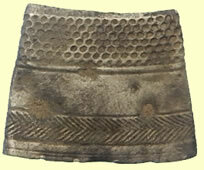 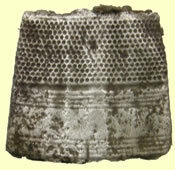 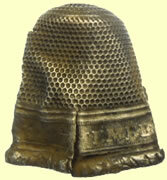 The modern concept of a thimble comes from the Etruscans living in what is today Italy. 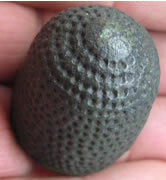 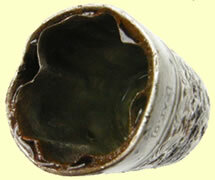 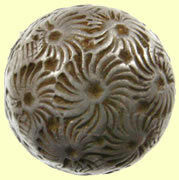 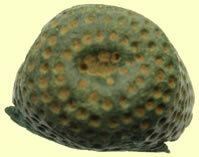 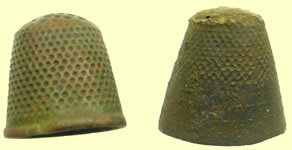 They made thimbles from bronze using clay casts. 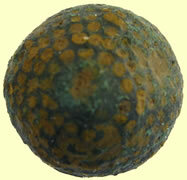 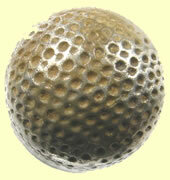 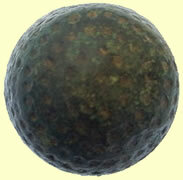 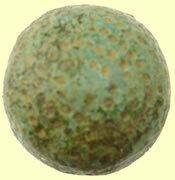 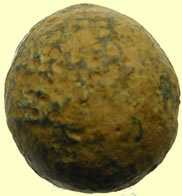 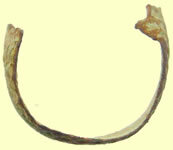 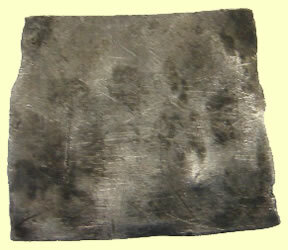 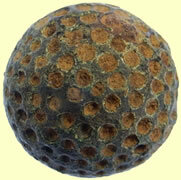 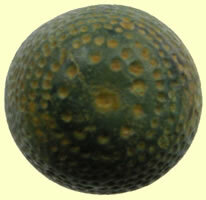 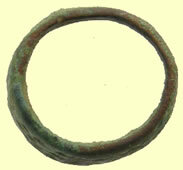 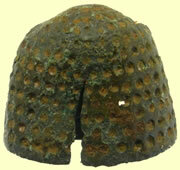 They were difficult to use because the high copper content of the bronze discolored fingers and clothing. 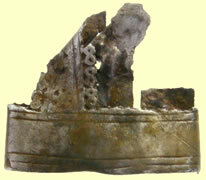 In Nürnberg the famous traveling doctor, Dr Paracelcus lived as a sub-tenant in the house of a copper smith. 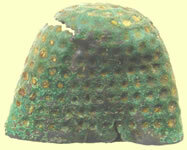 Very curious as to why the copper turned yellow, he researched the problem and discovered that the special earth contained zinc. 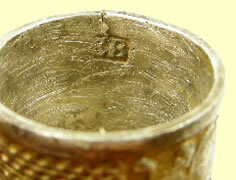 In a short time, the process was refined to produce pure brass. 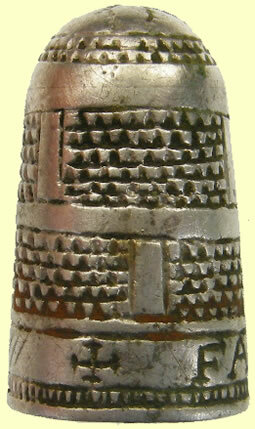 From then on, the Nürnberg thimbles were no longer cast as a whole but were made from stamped disks and metal strips that were bent conically. 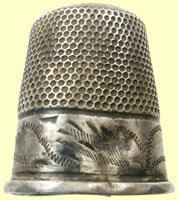 The new thimbles were a big success world-wide. 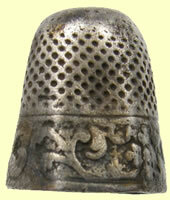 Everyone wanted the Nürnberg thimbles because they were better, more comfortable, and cheaper. 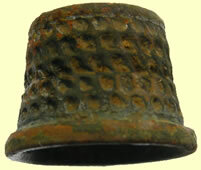 In order to keep the method of producing brass a secret, the town council of Nürnberg prohibited its thimble makers -- a profession with apprentice, journeyman, and master craftsman -- from leaving the town. 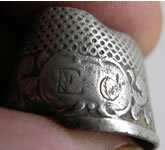 For the next 200 years the secret stayed in Nürnberg. 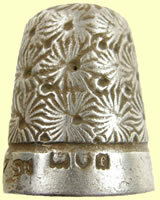 Things changed with empress Maria Theresa of Austria. 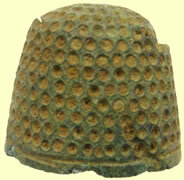 Angry that she had to buy thimbles made abroad from a place with which she frequently waged war, she sent spies to Nürnberg to steal the secret of the thimble making process. 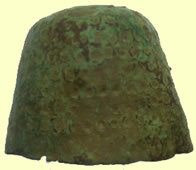 The spies returned with the plans but her copper smiths were unable to reproduce the process successfully. 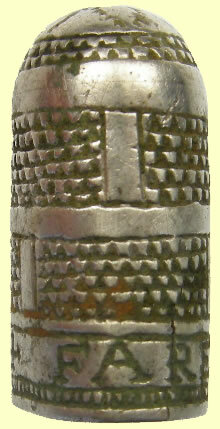 Not to be put-off, she arranged for Nürnberg copper smith masters to be smuggled out of the town in a straw wagon. 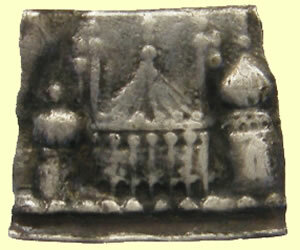 Each master received his own house and garden. 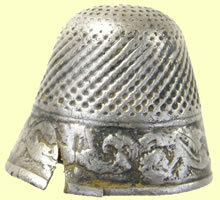 She built a thimble making facility in Vienna and broke the Nürnberg monopoly. 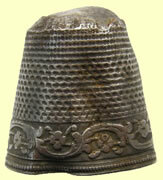 Only after his time was brass produced in Europe. 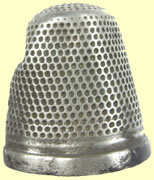 The next break-through in thimble making technology was the development of a device that permitted them to be made by machine. 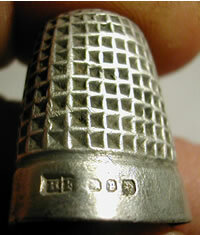 The son of a master tailor in the town of Schorndorf near Stuttgart gave his father a silver thimble for a birthday gift. 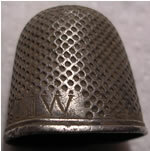 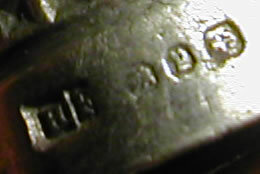 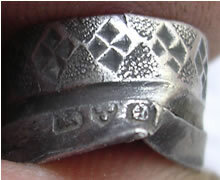 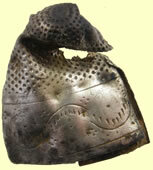 Having learned the silver smith profession, he recognized the most difficult part of the work in producing the thimble. 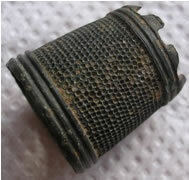 He experimented for six years before finally developing a device that would do the work. 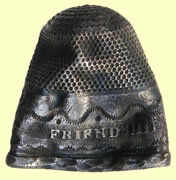 Device in hand, he and his brother built a manufacturing facility and became the biggest suppliers of thimbles in the world, the company Gebrueder Gabler in Schorndorf. 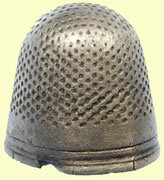 They sold more than 4000 different types of thimbles in 18 different sizes and kept an on-hand inventory of over seven million silver thimbles. 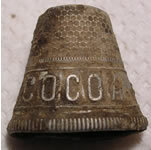 Each month one railroad car of thimbles was delivered to Russia alone. 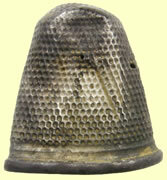 The company manufactured thimbles for 140 years until the heirs lost interest in the business. 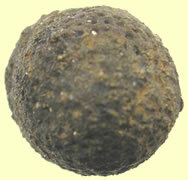 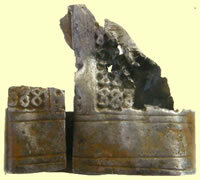 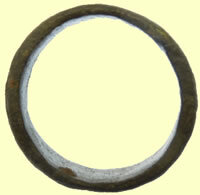 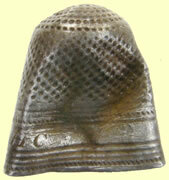 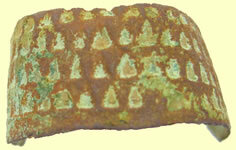 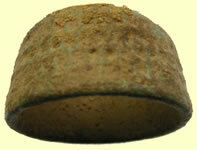 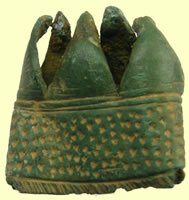 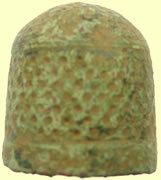 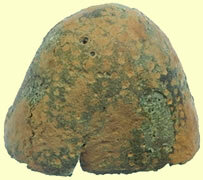 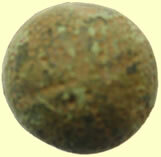 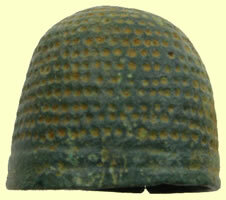 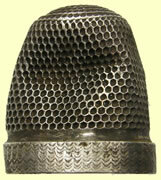 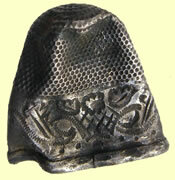 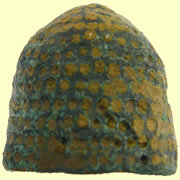 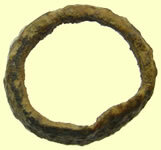 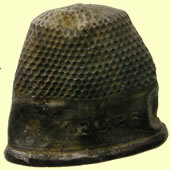 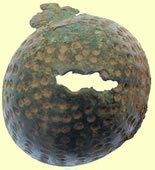 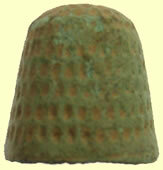 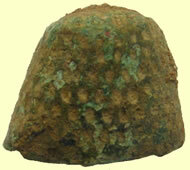 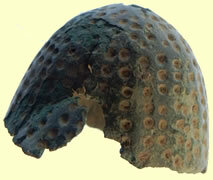 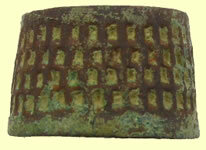 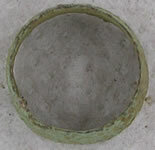 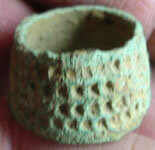 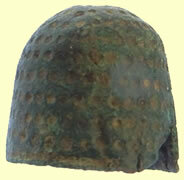 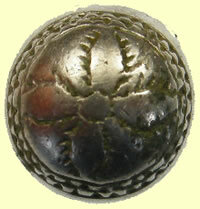 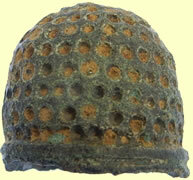 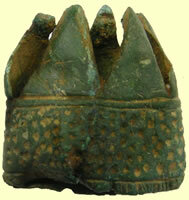 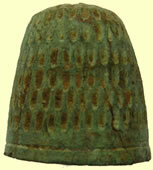 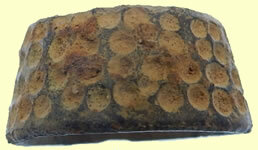 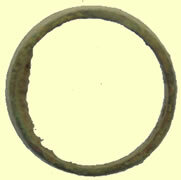 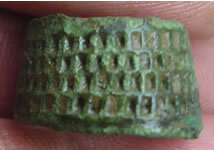 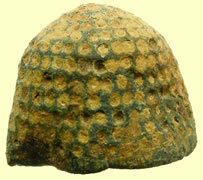 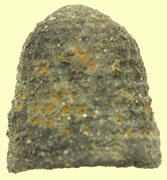 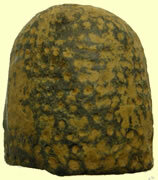 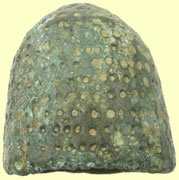 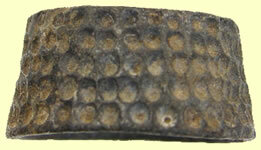 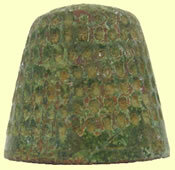 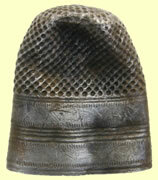 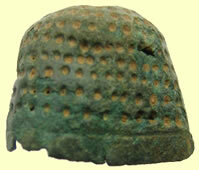 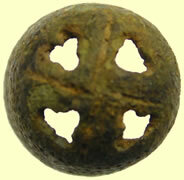 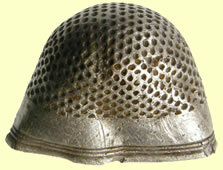 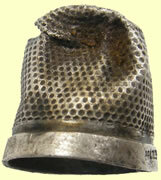 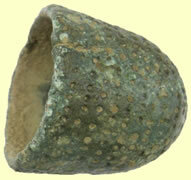 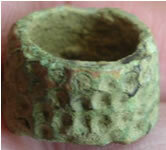 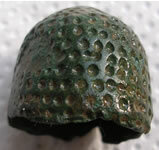 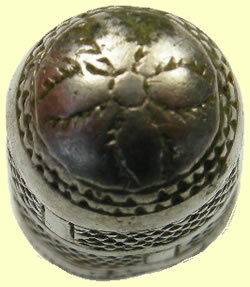 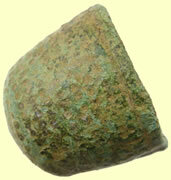 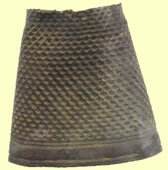 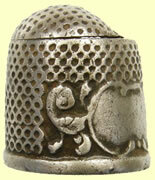 15thC rim less copper-alloy thimble with an openwork top and small, circular, manually produced indentations. 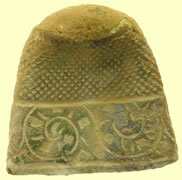 Initially before I cleaned this token I thought of a 1640's Civil War siege token but this looks to be middle eastern in origin - sent of to the Fitzwilliam museum for their views, Crusades ? 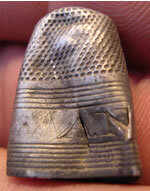 Could just be a fragment off a thimble ?